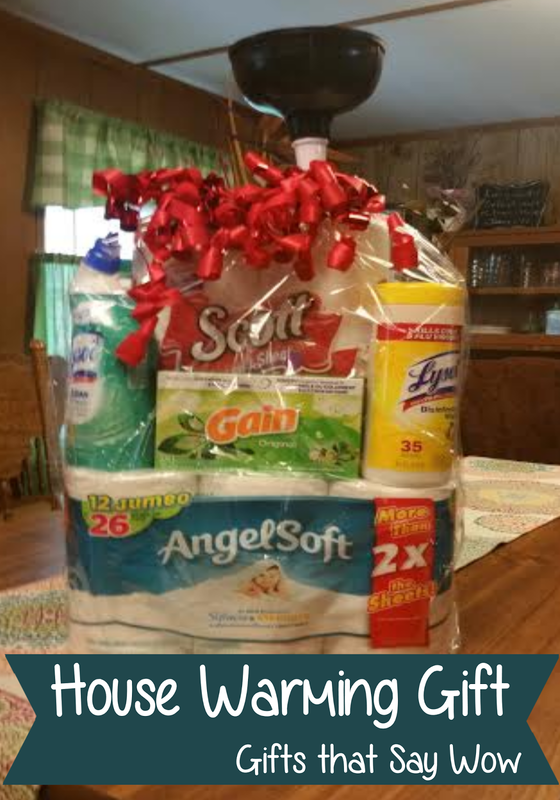 For a house warming shower recently, I needed a gift for a lady at my church. Don't we all want to give gifts that are useful but not a replica other gifts? I saw this idea on pinterest and loved it. This is step by step instructions of how this gift was made. You can choose your own products but make sure there is enough to circle the paper towels. Put the toilet tissue in the bottom of the clear bag. Use masking tape to center the paper towels on top of it. Circle the towels with your products using masking tape to keep them in place. Put the plunger in the center of the paper towels. Put the clear wrap up to the plunger. I used floral tape to secure it, and taped the lose ends with clear tape. This is a big gift so it needs a big bow. The cost was around $30 with the cost of paper and bow. You can come out cheaper using things from Dollar Tree but I wanted name brand toilet paper and paper towels so I got everything from Wal Mart. Also this gift can be given by two people to cut the cost. Visit Patricia @ Gifts That Say Wow's profile on Pinterest. Some of the Posts on Gifts that Say Wow contain affiliate links. Gifts That Say Wow Copyright 2015. Simple theme. Theme images by Ollustrator. Powered by Blogger.